Peniel offers both Jr. 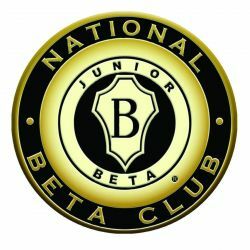 Beta Club for students 5th grade to 9th grade and Sr. 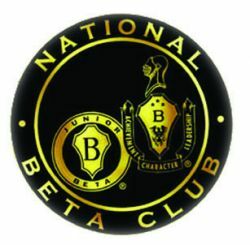 Beta Club for students 9th grade to 12th grade. In 2013-2014, the Sr. Beta club raised money for the Women's Resource Center, Missions Month, Operation Christmas Child, and Autism Awareness. The students were also involved in other areas of service around the school. Club sponsored a school wide talent show to provide needy families with food for Thanksgiving. Talent for Turkeys in 2013 was a success and provided 25 families with more than enough food for Thanksgiving. Both clubs provide students with opportunities to lead and serve while promoting academic excellence. Demonstrating our motto: Let Us Lead by Serving Others"
For more information, contact the Beta Club Sponsor Miss Davis. Peniel offers Jr. Beta Club for students 5th grade to 9th grade. The 2013-2014 School Year was Peniel Baptist Academy's first official year at Sponsoring Beta Club. Students who went through the application process and met each Beta Club qualification was inducted into the club at the beginning of the year. The 2013-2014 Jr. Beta Club sponsored a school wide talent show to provide needy families with food for Thanksgiving. Talent for Turkeys was a success and provided 25 families with more than enough food for Thanksgiving. “Warriors on the Run” was established in March of 2012. The club is open to all students Kindergarten thru 12th Grade and their parents/guardians. Practices are held every Monday, Wednesday and Friday from 2:45 P.M. – 4:00 P.M. The club participates in 5K events that are held in Putnam and surrounding counties. We had a desire to provide our elementary students with the opportunity to participate in an extracurricular running activity on a weekly basis. It is truly a blessing to have the opportunity to share God’s plan for our bodies with the runners in our club each week. We work hard to insure each runner has a good understanding of how to fuel their body, care for their body and train their body for each race. For more information contact Mrs. Fletcher. American Sign Language Clubs (J.V. and Varsity) meet weekly to plan and practice creative interpretations of songs in sign language. We make presentations during chapel services and other special occasions. ASL Club is open to high school students who are currently enrolled in an ASL class or have completed ASL classes at Peniel. Together we strive to “lift up holy hands” to worship our Lord! Players By Acts is a place for students interested in acting and theater to gain experience performing a variety of styles from improv to scenes from classical plays. Students also perform at the annual FACCS Fine Arts competitions at the close of the school year. In 2012, Players By Acts had two groups place at the state competition. Joanna Beckler placed first in the state for humorous monologue and Dakota Breed and Sara Tye placed second for duet acting. Players By Acts is open to 4th-12th graders. We meet once a week. Please contact Ms. E. Davis for more information. In 2013, every Players By Acts' performances qualified for the FACCS Jr. State Fine Arts Competition. Of the eight performances from that event that went to state, five placed. The Middle School Readers' Theatre comprised of Jaelynn Coburn, Libby Beauchamp, Sara Tye, Rebecca Williams, Dakota Breed and Zach Bush won 2nd Place. In the Humorous Monologue Category, Libby Beauchamp won 3rd. For Oral Interpretation of Poetry, Carlee Coburn placed 1st. Two groups of Duet Acting performances also placed-Dakota Breed and Zach Bush won first in the 7th grade Category and Lily Maxwell and Jessica Raybon won 3rd in the 4th grade category.